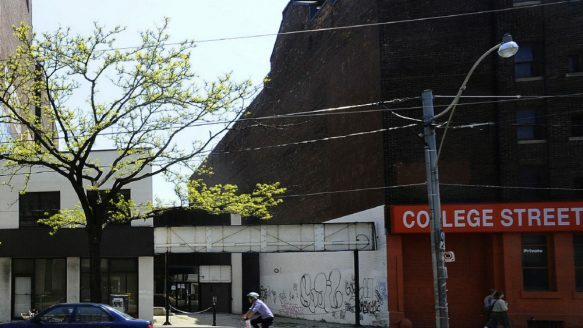 The planned 25-storey student residence will be built at 245 College St., between Huron St. and Spadina Ave. Opponents of the residence forced the reduction of its proposed height from 42 storeys to 25 over the course of a prolonged battle. But they still feel that the OMB and the developer won. Ramkhalawansingh says residents of the neighbourhood have been serially abused throughout the process; the university “leased this land in secret, in a secret meeting, to a private developer. So we get f---ed by the OMB and we get f---ed by the university, and we’re about to get screwed again by the developer.”.